Listen to the Podcast of 7 Jamaican & Caribbean News Stories You May Have missed for the week ending April 19, 2019. Listen to the Podcast of 7 Jamaican & Caribbean News Stories You May Have missed for the week ending April 12, 2019. Listen to the Podcast of 7 Jamaican & Caribbean News Stories You May Have missed for the week ending April 5, 2019. Listen to the Podcast of 7 Jamaican & Caribbean News Stories You May Have missed for the week ending March 29, 2019. 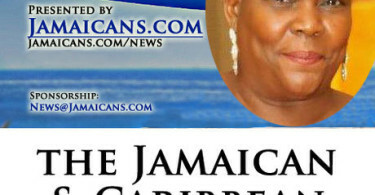 Listen to the Podcast of 7 Jamaican & Caribbean News Stories You May Have missed for the week ending March 22, 2019. Listen to the Podcast of 7 Jamaican & Caribbean News Stories You May Have missed for the week ending March 15, 2019. Listen to the Podcast of 7 Jamaican & Caribbean News Stories You May Have missed for the week ending March 8, 2019. Listen to the Podcast of 7 Jamaican & Caribbean News Stories You May Have missed for the week ending March 1, 2019. Listen to the Podcast of 7 Jamaican & Caribbean News Stories You May Have missed for the week ending February 22, 2019. Listen to the Podcast of 7 Jamaican & Caribbean News Stories You May Have missed for the week ending February 15, 2019. Listen to the Podcast of 7 Jamaican & Caribbean News Stories You May Have missed for the week ending February 8, 2019. Listen to the Podcast of 7 Jamaican & Caribbean News Stories You May Have missed for the week ending February 1, 2019. Listen to the Podcast of 7 Jamaican & Caribbean News Stories You May Have missed for the week ending January 25, 2019. Listen to the Podcast of 7 Jamaican & Caribbean News Stories You May Have missed for the week ending January 18, 2019. Listen to the Podcast of 7 Jamaican & Caribbean News Stories You May Have missed for the week ending January 11, 2019. Listen to the Podcast of 7 Jamaican & Caribbean News Stories You May Have missed for the week ending January 4, 2019. Listen to the Podcast of 7 Jamaican & Caribbean News Stories You May Have missed for the week ending December 28, 2018. Listen to the Podcast of 7 Jamaican & Caribbean News Stories You May Have missed for the week ending December 21, 2018. Listen to the Podcast of 7 Jamaican & Caribbean News Stories You May Have missed for the week ending December 14, 2018.